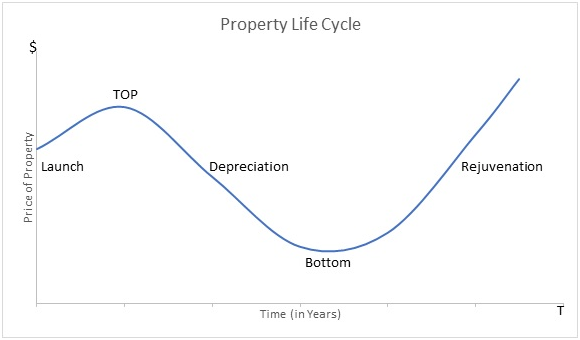 Properties have life cycles, just like us. 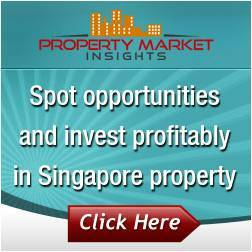 We know that property prices are largely driven by demand and supply. When we examine the correlation between the price and age of a property, we exclude external influences like demand, supply, inflation, immigration policies, infrastructure changes, etc. After land is acquired and architectural plans are drawn, a developer will launch the property for sale. At this stage, prospective buyers do not get to see a finished product. Instead, they purchase the property based on drawings, plans, and probably a nice model of what the development looks like. Land does not depreciate. At least for all freehold land, and leasehold land which the government will allow a top-up on the lease. 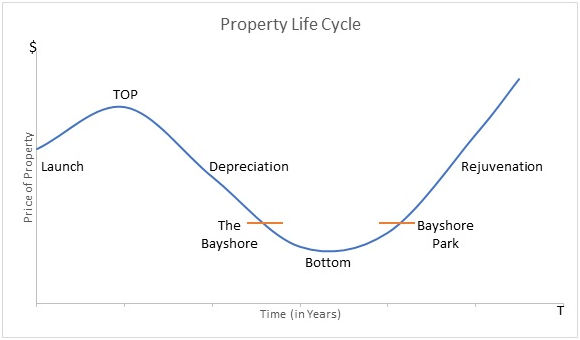 Astute investors know that The Bayshore has maximized its gross floor area (GFA), according to its plot ratio, while Bayshore Park has more room towards its maximum allowable GFA.